The streets of Paisley were filled with the sound of bagpipes on Wednesday (9 May) as the town gets set to host the British Pipe Band Championships next week. 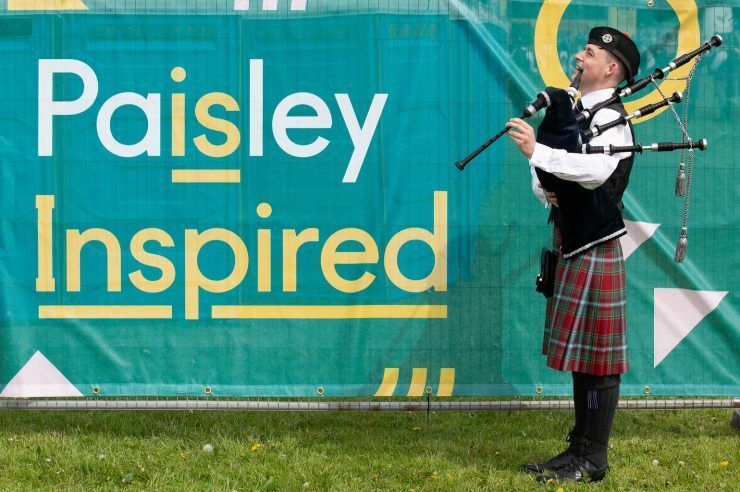 The event – which is one of the biggest in the piping calendar – will return to Paisley’s St James Playing Fields on Saturday 19 May. 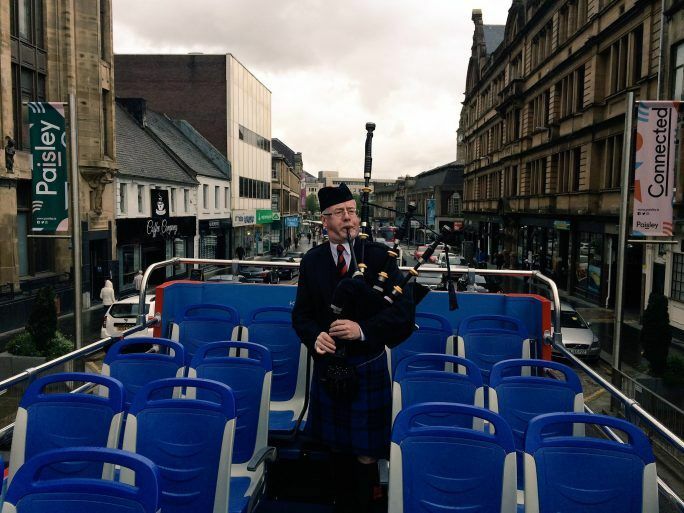 Residents were given a teaser of the big day with a piping performance on an open-top bus tour around the town. Piper Alan McGeoch of the Johnstone Pipe Band performed a number of famous songs, including Scotland the Brave, for delighted passers-by and lunchtime commuters in the town centre. 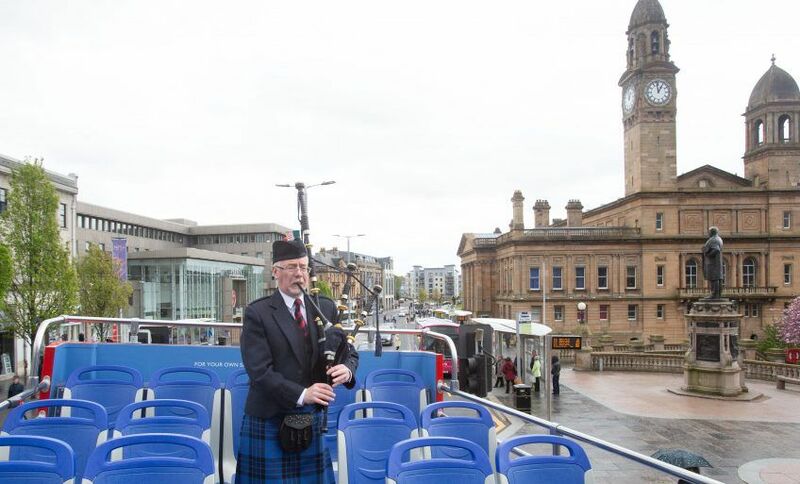 The bus tour came as British Pipe Band Championships event organisers Renfrewshire Council and the Royal Scottish Pipe Band Association teamed up with McGill’s to provide a fleet of shuttle buses for spectators to and from the event, free of charge. Alan, who will compete in the elite-level Grade One contest with Johnstone Pipe Band, was joined by Renfrewshire’s Provost Lorraine Cameron – the chieftain of the event – and by dancers from the Christine Aitken School of Dance for the bus tour. More than 4,000 pipers and drummers will descend on the St James Playing Fields for the British Pipe Band Championships. The free all-day event will see almost 130 bands compete for some of world piping’s most prestigious titles, from the length and breadth of the UK and beyond. 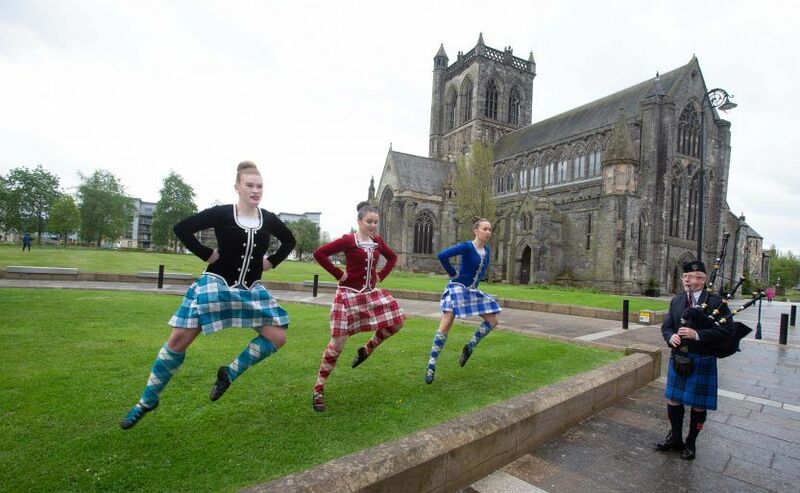 There will also be a host of free family entertainment on offer, including an international food village and bar, funfair, street traders and Highland dancing competition. 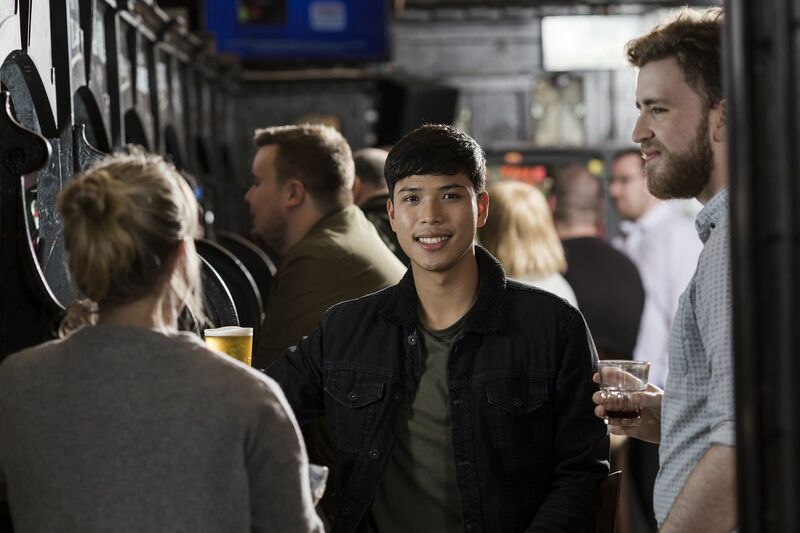 McGill’s will run the shuttle buses from Paisley Gilmour St station, West College Scotland and St Mirren’s Paisley 2021 Stadium to the event, with the latter two offering free event parking. For more information on the event, including travel and shuttle bus information, visit our British Pipe Band Championships event page.